The Baltimore Orioles are expected to fire manager Buck Showalter at the conclusion of the 2018 season, according to USA Today's Bob Nightengale. Baltimore is a major league-worst 44-108 entering Friday night's game against the New York Yankees. The Orioles hired Showalter halfway through the 2010 season, and the move paid dividends through the middle of the decade. After struggling during the 2011 season, Baltimore made a leap under his guidance in 2012 and clinched the franchise's first postseason berth since 1997. 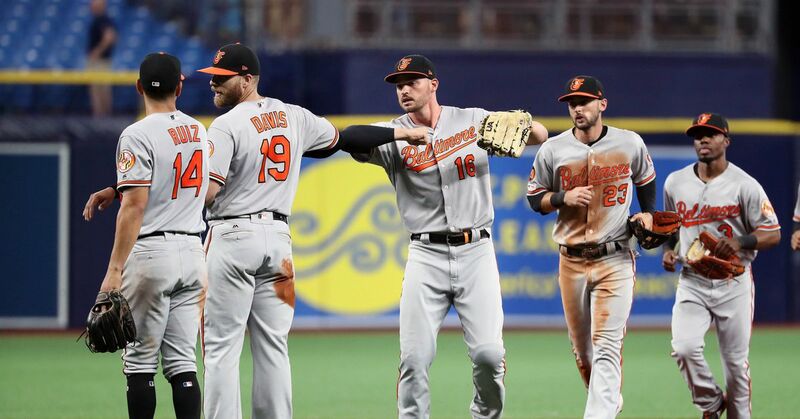 The Orioles narrowly missed out on the playoffs in 2013, but they won 96 games—their most since 1997—and finished atop the American League East the following year. Showalter added a wild-card berth to the team's postseason ledger in 2016, but Baltimore dropped that game to the Toronto Blue Jays. Since then, they have descended into a downward spiral. Following a 75-87 finish a season ago, the Orioles have resided in Major League Baseball's cellar. As a result, they've been prime candidates to embrace a rebuild and start anew—and part of that process meant showing Showalter the door. Soon to be done with the O's, Showalter is guaranteed to leave Charm City with a record below .500. He is currently 666-677 overall with 10 games remaining this season. Moving forward, the Orioles will have to cast a wide net in their search for a manager. Namely, the franchise should focus on identifying a candidate with quality developmental chops who can help lead the Orioles through a temporary residence at the bottom of the AL East before they make another run toward title contention.